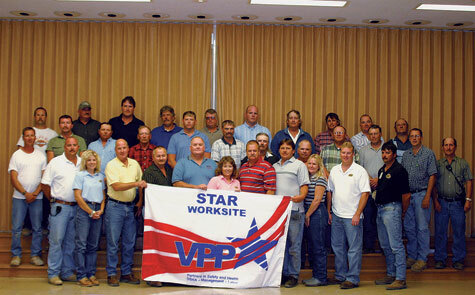 The U.S. Department of Labor has approved VPP STAR status for NTL contractor Senco Construction Inc. — the highest OSHA award available. It is the first time an Illinois contractor has received the award, and the first time nationwide that a contractor at a Marathon Petroleum Co. facility has earned this status. In fact, only two other contractors in the six-state OSHA Region V have ever received this award, making Senco one of fewer than 20 contractors nationwide to earn STAR status. Senco is a multi-craft employer at Marathon’s Illinois division in Robinson, Ill. The award drew national recognition and culminates Senco’s efforts that started in October 2003 to achieve and maintain an ongoing standard of excellence in workplace safety. To receive a STAR designation, a company must design, implement, and achieve a standard of safety excellence for all safety and health programs. Employees must recognize workplace hazards and be proactively involved in both the elimination of hazards and the continuous improvement of safety efforts. Management must also demonstrate strong leadership and a commitment to safety and health efforts. Senco employs around 15 NTL members year-round at the Marathon Illinois facility.